Perry Mehrling wrote an interesting post called Why did the ECB LTROs help? He visits the comparison of the Federal Reserve Interdistrict Settlement Account and the ECB Target2 settlement mechanism. I have also found this comparison in a number of other publications, see the list at bottom. Here is the comment I left at the Money View blog. My reading of the Euro-system rules is that deficit national central banks (NCBs) never have to settle with surplus NCBs. These intra-system balances can grow ad infinitum. Thus, deficit NCBs don't have to worry about owning acceptable assets for settlement, since there is no ultimate day of reckoning. The result is that survival constraints for Eurosystem NCBs are far looser than the survival constraints faced by regional Federal Reserve banks, which must settle each year. In the old days this settlement was conducted by transfers of gold certificates amongst regional Federal Reserve banks. After 1975 the settlement medium was switched to securities held in SOMA. But in the case of the Eurosystem, there is no ultimate settlement mechanism or medium that I am aware of, neither gold nor securities. Indeed the Federal Reserve System seems to have decided to let FRBNY accumulate a large claim on the other Reserve Banks. One can see why the various Reserve Banks might not feel the need to imagine a breakup of the United States in deciding on the makeup of their balance sheets. 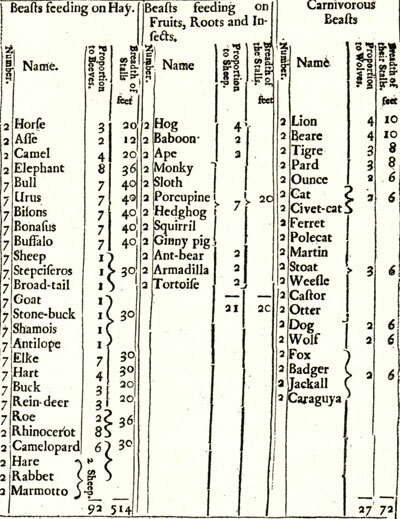 The appearance of non-settlement is noticeable in Mehrling's chart. The reversion to mean that should be occurring each April settlement did not happen in 2011. Debts to the New York Fed from other regional Federal Reserve banks are, seemingly, being allowed to accumulate. Odd that this is not mentioned in the Fed's financial notes. What is the resolution of the data in that chart? End of week? It might not give sufficient granularity for us to assess whether claims were allowed to accumulate, or were settled for a day or two before returning to trend. "The Interdistrict Settlement Account must be settled once a year with gold-backed securities or Federal treasury bills. This would represent a constraint on inter-district credit flows only if the stock of Federal Treasury bills allocated to the individual Federal Reserve banks was exogenous. However, individual regional reserve banks can always buy Federal treasury bills from banks or other holders of the stuff in their own districts, financing this with an increase in base money. The Federal Reserve Board could then decide to undo this transaction or ‘sterilise’, it. However, an interest-rate-setting Fed will only undo this, if the regional Fed’s Treasury bill purchase and the associated increase in base money were to lead to an excessive divergence between the actual Federal Funds rate and the Federal Funds target. This is highly unlikely. Even when the Fed’s official policy rate is at the effective lower bound for the official policy rate and the Fed is engaged in QE, there is no effective constraint on the ability of regional Reserve Banks to settle the Interdistrict Settlement Account imbalances with Treasury Bills funded with base money issuance. The yearly settlement requirement in the Interdistrict Settlement Account procedure would thus not appear to be a constraint on persistent credit imbalances between individual Federal Reserve banks’ districts." I am hoping to investigate this mystery a bit further. There are a number of conflicting resources explaining how the interdistrict account is settled, and how binding this is. 1. The key source is pg 136 - 138 of the Financial Account Manual for the Federal Reserve. 2. The Buiter quote I mention above comes from a Citi report called Original Sinn. 3. Peter Garber's Deutsche Bank article The Mechanics of Intra Euro Capital Flight also touches on the comparison. 4. Citi prints Hans-Werner Sinn reply to Buiter here, giving his views on interdistrict settlement. 5. Here is Sinn's initial paper. 6. I got the reference to the 1975 settlement changes from Meltzer, A History of the Fed, Vol 1. "The diminished stock of gold and gold certificates and rising levels of reserves and deposits required a change in interbank settlement... In 1975 the operations staff recommended that monthly gold transfers cease. Reserve banks other than New York would change once a year. New York would pay for withdrawals and receive deposits from the Treasury. Once a year, the Interdistrict Settlement Fund would reallocate securities in the System Open Market Account to balance accounts. Gold remain as collateral for the note issue, but securities would be the principal collateral (memo, Maurice McWhirter and Alan Holmes to FOMC, Board Records, April 11, 1975). Step by step, gold lost its monetary role and main provisions of the 1913 Federal Reserve Act disappeared." There are no other good sources that I've been able to locate on the Target2/interdistrict comparison. Note: I have blogged more extensively on the Interdistrict account here. 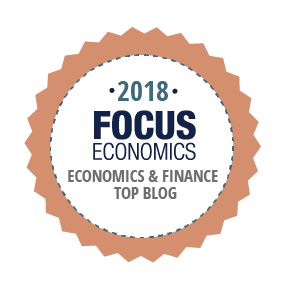 Nick Rowe writes a post called Macroeconomics and the Celestial Emporium of Benevolent Knowledge. It is a conjunction of a bunch of themes he has touched on in the last few weeks, including the great debt debate and categorization. In your previous post, you advocated adopting the most "useful" way of dividing up the world into categories. But what does that mean? Useful in terms of teaching students, reaching the layman, articulating theory amongst other economists, calculating statistics, conducting policy? Are you saying that economists should have multiple "categorical universes" in their head? Or is their "one ring to rule them all" way of dividing up the universe that you are trying to tease out? One useful reason for having one standardized way of splitting the world into categories is it makes conversation easier. Having multiple ways adds subtlety but confusion. I am learning that the core of economics (or at least near to it) is about words. We create meanings for things in the real world using some of our existing words, and this creates categories, but since other words can also be used to create similiar-though-not-overlapping categories, we have to choose between categories. This process comes prior to mathematical econ, since the math needs categories like C and I before mathematical phrases can be put together. The last bit about mathematics reminds me of an exchange I had with Daniel Kuehn a while back about the use of words and math in economics. I'm not sure on the answers to all your questions. Even if we all agreed on what the true theories were, we might want one theory for one purpose and a different theory for another purpose. And each theory would have its own most useful set of categories. Yep, it might make conversation harder. But maybe some conversations would be impossible if we had to stick to one set of categories that didn't fit the topic at hand. ...it is important to emphasize that each of these heterodox schools exist, and persist, because it is organized around some essentially correct insight about how the banking system works... The problem is that, so far as I can see, each of the heterodox schools has part of the truth, not the whole thing. The same could be said about the orthodoxy against which the heterodox schools define themselves... We don't therefore want to choose which school to belong to; rather we want to determine which of these correct insights provides the most useful explanatory frame for whatever issue is currently at hand. Today it might be one; tomorrow it might be another. That is what the debate is about, or should be anyway. See an earlier and related post. Debt, generations, savings, and economic categorization or the "Borges Problem"
I didn't comment much on the great debt debate, stirred up a Krugman post called Debt Is (Mostly) Money We Owe to Ourselves, but followed it quite closely. Nick Rowe taught me (here, here, here, and here), and Bob Murphy clarified (here, here, here, here, here, here, here, and here), that present generations can indeed take resources from future generations via debt issuance. I also learnt via Daniel Kuehn here and here that if you use a very unintuitive definition of "generations", than this is not the case. Basically, you can swap the meanings of terms to argue your way out of a tight spot. I’ve learnt that the method by which one aggregates individuals into groups, and the labels that one attaches to such groups, can have an important influence on a debate’s ability to reach resolution. If people are aggregating differently, and using non-standard words for their categories, then the debate will degenerate into shouting matches. Which would be the most useful way to divide up income, and define saving? Which of these 3 definitions of desired saving is the most useful? Notice also that the recent debate about the burden of the debt was also an example of the "Borges Problem". Do we divide the future up into time periods or into cohorts? We get very different results depending on how we categorise the world. And sometimes the categories we use are chosen by someone long ago who had a totally different purpose and/or a totally different theory to ours. Our way of seeing the world gets distorted by the dead hand of historical ways of seeing. Yes! I did notice that. It caused me a lot of confusion. Nick also notes that the solution is to choose the most useful categorization out of all possible options, and proceeds to advocate a different category to which we should attach the word "savings". Interesting stuff. I'm not sure how Nick proposes we solve for "usefulness" though. Isn't the fact that almost everyone uses the same term for a given categorization a good enough claim for usefulness? Put it another way: there's more than one way to aggregate. We shouldn't let our theories of what is happening in the world be determined by the choices made by long-dead National Income Accountants. Nick, I agree with you that the conversation on debt was mainly about categorizations and the lack of standardized terms associated with categorizations. That made it very frustrating to follow. So I am all in favor of standardizing terms, as you advocate in this post. I noticed you originally introduced C and I as flows and A and M as stocks. Then when you brought in the individual's economy, you introduced not a stock of antique furniture, but a flow of antiques, and not a stock of money, but a flow of money. Presumably you did this to preserve stock flow consistency. The idea of a flow of antiques or money is very unintuitive to me. Why not go the other way? Not flows of consumption and investment, but stocks? Thus you have and individual's goods C, I, A, and M, which are all stocks. Sum them all up and you have S (the noun form of S, not the verb). This S can rise or fall. As a solution to the Borgian categorization problem, this configuration makes more intuitive sense to me. N: "but if we think of income as a flow, then thinking of C and I as stocks is going to create problems." Me: You start out with the C and I that you have produced in your stock of assets, hold this C and I until you find someone who'll exchange for them with the M they have in their stock of assets. Now they are holding C and I and you are holding M. So here income isn't a flow, it's just a trade, an instantaneous swap of assets held in a portfolio. How much of economics is taken up by definitional debates and confusion? You'd think there would be a universal set of definitions for economic terms somewhere so these issues don't pop up. When I read William Hutt's books I'm always pleased because he uses his first chapter to explicitly define every term he'll be using. N: "Will those trades all take place in an instant, with some buying and some selling a stock of antiques? Or will those trades happen slowly over time, as people buy or sell a flow of antiques, and slowly get back to their long run desired stocks? That depends. If antiques are a small part of your wealth, and the market is frictionless with all antiques identical and so zero search costs (obviously not, for antiques). Each person would instantly buy or sell a stock of antiques to get back to his personal desired stock. Otherwise, there will be a flow of trades. If antiques are a large fraction of your wealth, you may only buy and sell slowly, in a flow." me: Ok, thinking in a world with stocks, (an infinite series of balance sheets), trades still happen in an instant, even if you introduce search costs. You hold the antique on your balance sheet until you don't. The antique is in your hand up until the moment it enters the hand of the buyer. Introducing frictions means that someone can have the intention of selling that antique and will need to incur costs to search out someone to trade. But it doesn't mean the process must be a conceptualized as a flow. Rather, the intention of selling an antique just moves the antique to a different part of an individual's balance sheet. It continues to lie in the asset column of their balance sheet, but is moved from long-term assets to current or liquid assets. Introducing search costs means that instead of an interval of two balance sheets before a swap occurring, the interval is some number larger than two. My rough final thoughts are that thinking in terms of stocks, not flows, introduces a number of important categories that flow-based economics ignores because it is focused on flows. The most important of these is a stock of non-durable consumption goods. In flow-based economics, it's always been odd to me that factories produce, and we instantaneously use up, consumption goods. A stock based world also is terribly confusing way to go about things, because the word savings in a flow-based world is attached to a different category than that which it is attached to in a stock based world, much like how in the Great Debt debate the word "our children" can be attached to either a period of time or a cohort. Tyler Cowen posts on Is there an easy way out of the eurozone? He notes it would be harder than Robert Barro thinks. Barro’s is the Euro-as-glove argument. You can slip it on, and slip it off just as easily. *Germany can’t leave it easily, because it is owed some E500b by the ECB via the Target2 settlement system. Leave it and lose it. The PIIGS can’t leave, because as Tyler points out, a bank run will immediately result. And if they dodge the run, they surely won’t be able to dodge euroization: citizens will spontaneously disengorge any newly-created liras/drachmas/etc in favour of the already-circulating and vastly superior Euro. Lord Keynes continues to squabble with the Austrians on the origins of money in two separate posts, one on Adam Smith and the other on Mises's regression theorem. The combativeness on the blog is unproductive, but I left a few comments anyways. I don't really disagree with your claims, although I think you have to read the full Wealth of Nations in order to appreciate Adam Smith's theory of money. For instance, you are quoting from book 1 chapter 4, but Smith also has a very interesting (and much more extensive) chapter describing the complex workings of the system of bills of exchange, so he was by no means focused on gold and silver as money (See book 2 chapter 2). In this way he was different from Menger, who never discusses credit. Like Henry Dunning Macleod (who I see someone has already quoted), Smith was comfortable with credit as money. The existence of Henry Dunning Macleod, as well as George Berkeley and James Steuart, disconfirms the thesis that classical and neo-classical economists were uniformly metallists. All advocated to various degrees a credit theory of money. Jevons credits Macleod for laying the framework for marginal utility calculus, so he was surely neoclassical. The "origins of money" debate is interesting but I don't know how important it is. I think it's perfectly logical to adopt a Mengerian metallist approach and a Macleodean credit approach, modifying each just enough so that they can be amalgamated. Let the anthropologists take care of the chronological order of things. But there is a severe flaw underlying Mises’s whole intellectual program in producing his Regression Theorem: the truth of the assumption that money only has indirect utility.... The view that money only has utility through its exchange value is also held by neoclassicals... This idea held by Austrians and neoclassicals should be rejected." I think you'll find that a number of Austrians already reject this. William Hutt's paper on the Yield from Money Held is a good example. There are plenty of problems with Hoppe's article, but it is a good example of what I am talking about. Hutt was a fellow traveler of the Austrians and his paper is very popular in Austrian circles. See an earlier post on Menger and the origins of money. Stephen Williamson talks about clearing and settlement systems, in particular Fedwire. I learn that the Fed offers daylight overdrafts on an uncollateralized basis, but believes itself to be covered by charging a fee and by putting caps on the the amount of credit they are willing to extend. George Selgin pops up again, because he wrote an excellent article called Wholesale payments: questioning the market-failure hypothesis. Available on demand if you email me. Lars Christensen teaches me some interesting things about Japan and deflation in Did Japan have a “productivity norm”? See also an older post here titled Japan’s deflation story is not really a horror story. This involves George Selgin's idea of the productivity norm. See Less than Zero (pdf). I notice that Paul Krugman has also chimed in on Japan, charting GDP per working age citizen rather than GDP so as to adjust for demographics. *Update: Lars has responded to the Krugman post here, and includes another chart. As I pointed out in the comments, I am not entirely convinced by his chart because he computes it on a per capita basis, not a per worker basis. Krugman's chart measures the ratio of Japan's per worker GDP to that of the US, which is a more powerful way to visually tell the tale. Unfortunately the time axis's resolution is by the decade in Krugman's chart, which gives no granularity, and he only includes the US. So I made my own chart. I think it's worth noting that, in regards to Lars's post, Japan's relative per worker GDP bottomed in 1999 and began to rise, which was before quantitative easing began in 2001. As for Krugman, my chart doesn't show the same large rise in Japanese per worker GDP relative to the US in the 2000s that his chart shows. It was more of a pause. But I am using World Bank data, and Krugman is using something else. 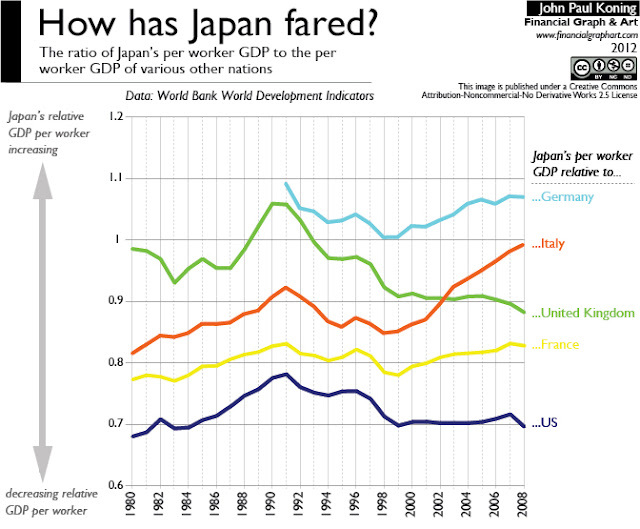 Note also how Japan has done far better than Germany, France, and Italy. **Update: Krugman has another post, More On Japan (Wonkish). Lord Keynes at the Social Democracy blog has an interesting post on Carl Menger.called Menger on the Origin of Money. So while Menger believed that the state might adopt metals as money, it could not legislate into existence a worthless item as money. The state could construct a system of coinage and thereby perfect an existing metallic monetary system, but not create a system based on intrinsically worthless materials. "One might worry about characteristics in the TIPS market distorting the estimates of the real yields." "The real yield curve starts at five years, so one can’t be sure what the real yield curve suggests for the horizon less than five years. " Why not use zero coupon inflation swap prices? They (supposedly) don't suffer from some of the same distortions as TIPS (liquidity premia), and you can get shorter terms. For instance, here is the 2 year inflation swap. Just subtract the 2 year swap rate from the nominal 2 year rate and you have the 2 year real rate. Lars Christensen had an interesting post on moneyness and the Divisia indexes. He recommended an old paper of Steve Horowitz's which I read some time ago and have always respected. See A Subjectivist Approach to the Demand for Money. If moneyness is a subjective concept, and I think it is, then trying to sum up various money assets into a Divisia index is problematic. That’s because an asset that appears to be high on one person’s subjective moneyness scale will be low on another’s, the result being that it is impossible to create objective categories for moneyness. Ultimately, the best way to determine moneyness is to back out the market’s assessment of an asset’s liquidity premium. The best way to do this is to introduce liquidity options on various assets and see how the market prices these options. Anyways, this is science fiction for now since liquidity options don’t exist. Previous posts on liquidity options.